Like all good artists, Linda enjoys the stimulus of an unusual assignment, so when she was asked last December to photograph a fashion catalogue with a difference she had little hesitation in accepting. Robbie Montgomery, her longtime photographic associate, takes up the story. "The advertising agency approached Linda first. They didn't want the celebrities involved to be recognizable and they wanted black-and-white, which Linda likes." The designer involved was Jenni Barnes, a woman with a mission to bring distinctive clothes to the high street at a price most people could afford. 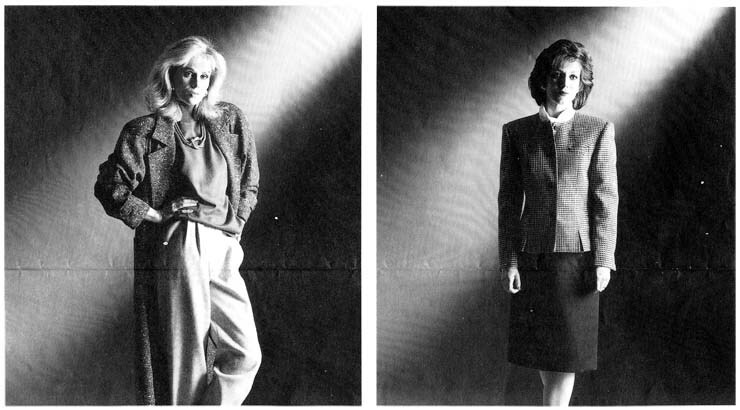 Linda liked Jenni's designs and, with a class photographer engaged, the agency had little trouble persuading four women of character to do a spot of part-time modelling. Linda had met Paula Yates at the time of Live Aid, while actresses Joanna Lumley, Liza Goddard and Jan Francis (best known for TV's Just Good Friends with Paul Nicholas) completed a striking quartet. 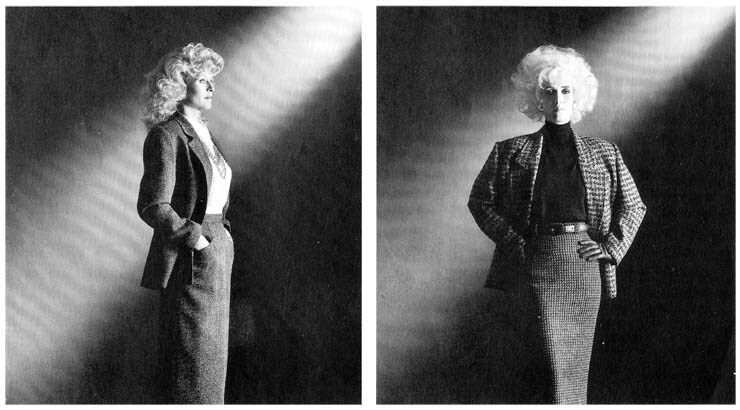 Robbie again: "It was Linda's first commercial advertising fashion assignment. We did the shoot at Chalk Farm Studios over two days and it was one of the best I've ever been involved with. They were all country people, like Linda, and it was a magical experience - everyone was sad when it was over." When the catalogue appears this autumn, it seems sure to attract attention well outside the fashion world.